Like many people, I grew up with cats as a child then as an adult found that a house is not a home without a cat! Caring for my own companion animals led to a desire to want to help other animals so I began working with cats both as a volunteer at a local humane society and by fostering cats in my home. 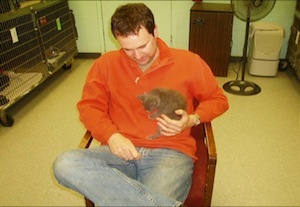 In 2005 I started full-time work at the Animal Protection Society of Durham/Durham County Animal Shelter, NC as the volunteer coordinator and then the director of community outreach. At the APS I managed an amazing group of compassionate volunteers who helped care for nearly 7,000 cats and dogs each year. I also devoted my professional efforts to increasing shelter adoptions, working with rescue groups, organizing a humane education program and promoting community spay/neuter initiatives. 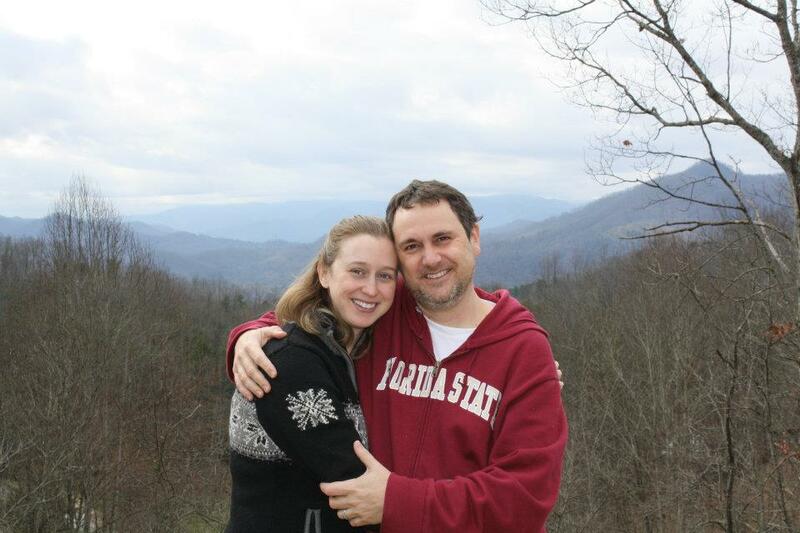 In 2012 I moved to Weaverville and began Simon’s Cat Sitting so I offer could cat owners a pet sitting service using my experience with and passion for cats. It is my mission to offer the very best care to your cat (or cats!) while you are away. When I travel, my own cats are never far from my thoughts. I will make sure that you can attend to your business or enjoy your vacation with the knowledge that your feline family is cared for with the very highest standard of care possible. Simon Woodrup was born near Liverpool, England and moved to the US with his family when he was a child. After graduating with a bachelor’s degree from Florida State University, Simon then worked for a number of years as a gemologist. During this time his passion for animals led him to make a career change and he began working full time for animal welfare. 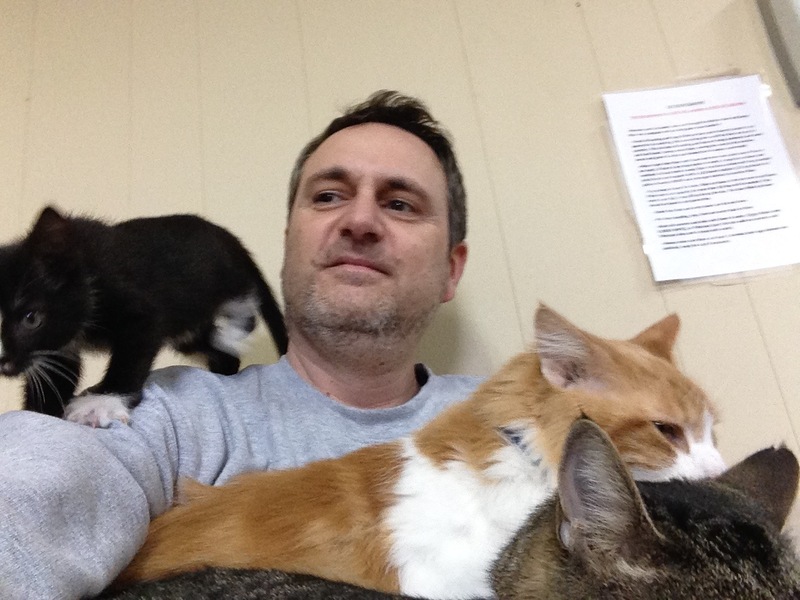 Now, after moving to the Asheville area in 2012, working as a professional cat care provider is yet another way Simon is able to share his deep love for animals, especially cats! When he isn’t cat sitting, Simon enjoys travelling, hiking, reading, politics and following his beloved Liverpool Football Club! Simon and his wife share their home with three adopted shelter cats: Zoey, Pinky and Jarvis. Simon remains passionate about animal welfare and Simon’s Cat Sitting sponsors an ad every month in Critter Magazine for a “hard to adopt” cat on behalf of rescue groups in our area. Simon also donates to the Asheville Humane Society as well as a large number of animal welfare/animal rights organizations and encourages everyone to support their local animal shelter.